New York, NY — NewBay Media LLC's AV Technology, the leading brand for AV & IT managers across the commercial vertical market, is pleased to announce that Justin O’Connor has joined the team as a Technical Advisor. In this role, Mr. O’Connor will elevate AV Technology’s print and digital coverage, and host a video series for tech managers that contextualizes ProAV trends. He will also join the educational team of the live AV/IT Leadership Summits. Mr. O'Connor has spent nearly 20 years as a product manager, bringing many hit products to the professional audio world. Over that time he has served the AV, professional sound reinforcement, permanent install, and music instrument retail markets with passion. In those roles he studied markets and technologies, devised strategies, defined product ideas and successfully launched a variety of microphones, loudspeakers, amplifiers, mixers and DSP's for brands including Shure, JBL Professional, QSC, and Biamp. Now as an independent professional in the industry, he is looking forward to sharing his experiences, and passion for audio and communication technology. Mr. O'Connor earned his Bachelor’s degree in Music Engineering Technology from the Frost School of Music at The University of Miami. 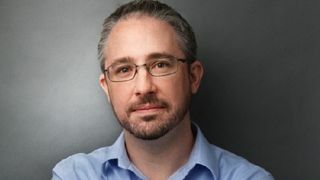 "I'm excited about this role and this rare opportunity, as someone who has always worked for manufacturers, to speak directly and candidly to tech managers,” Justin O’Connor stated. "I applaud AVT for their vision, and I'm honored to have been chosen for this." Follow AV Technology via @AVTechnologyMag and Justin O’Connor via @JOCAudioPro.